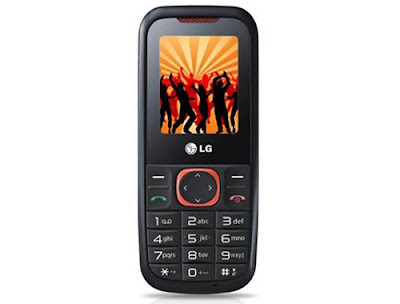 The LG A120 is the latest model deliver by world largest company LG mobiles. It was released on 22nd December of 2010. It has been offered with affordable price and wireless FM radio makes it more attractive for the young generation. It is available in different colors and also light weight feature, what helps you to carry easily. This mobile phone has slim body, what makes the personality of this mobile phone more attractive. The cost price of new LG A120 mobile phone is Rs.1749 only in India and it can easily available in every store of LG. The LG A120 has so many interesting features like Torch Light, Anti Theft Mobile Tracker, At frequencies of GSM 900 / 1800 MHz., Display of 4.5 centimeters and also TFT 65K Colors. This mobile phone has an Internal Memory 729 KB and the dimensions of this mobile phone are 108MM X 45MM X 12.9MM. This mobile phone can support the SMS, MMS for the smart messaging. The LG A120 has an advanced FM Recording, Dual Band GSM, Flight Mode, 64 Polyphonic tones with the dual speaker for the beast quality sound. This mobile phone has the additional features are like World Clock, Unit converter, advanced Calculator, USB Charging, Flight Mode, Social Networking, MP3 Player. 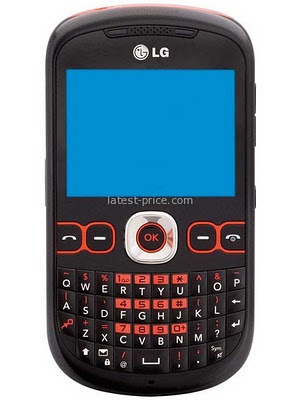 LG C310 is a latest model produced by world largest telecom company LG and it has launched on 24th December 2010. It has the dual SIM feature and wide range of screen makes it sporty look .it has great feature like TFT display,2 Mp camera,WI-Fi ,Bluetooth .its keypad more soft for very good use of gaming and texting and it have great body and produce more surround sound that takes you another world of music. It has the WI-FI connectivity provides the facility to connect with your friend by social networking. LG C310 can be expanded up to 2 GB with the help of Micro SD card through which you can add more data. It has a standard battery with the battery backup of stand by up to 6 hours. The cost price of this mobile phone is also affordable. It can support the frequency band like GSM 900 / 1800 / 1900 GSM 900 in Network for the both SIM. The dimensions of this mobile phone are 116 x 66 x 14 mm. this phone has a QWERTY keyboard, 3.5 mm audio jack, GPRS Class 10 (4+1/3+2 slots), 32 - 48 kbps, Video, Colors Black/Red, Talk time Up to 6 h, MP4/H.264 player, MP3/eAAC+/WAV player, Organizer, Voice memo, Predictive text input, Standard battery, Li-Ion, Browser WAP 2.0/xHTML, HTML, Messaging SMS, MMS, Email, Push Email, IM,now its available in all Mobile store.